I know what you’re thinking: You can buy almond milk at the store for $2 a box and it tastes fine, so why would you go to the trouble of making your own? I understand, because I used to feel the same way. And sure, I still buy commercial almond milk for the sake of convenience. However, if you’re working on a special recipe — say, your own vegan ice cream — or you’re brewing some high-quality chai tea, or you’re about to dip your spoon into a bowl of tasty homemade granola, then you’d be doing yourself a serious disservice not to make the extra effort, because the taste of fresh almond milk is out-of-this-world-delicious. The process is really not difficult; as a matter of fact, I produced a short one-minute video on how to do it (see below). 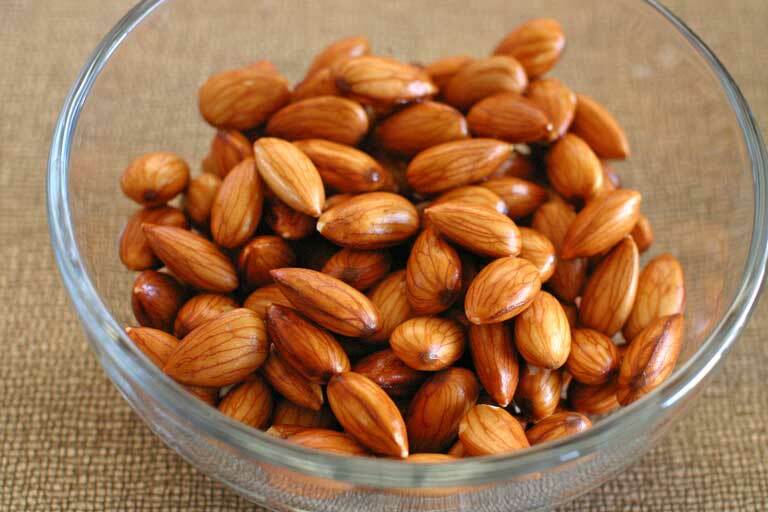 Put the raw almonds into a bowl and cover generously with water. The almonds will plump up as they absorb it and you want them to stay completely covered. Allow them to soak for at least six hours, but preferably overnight. 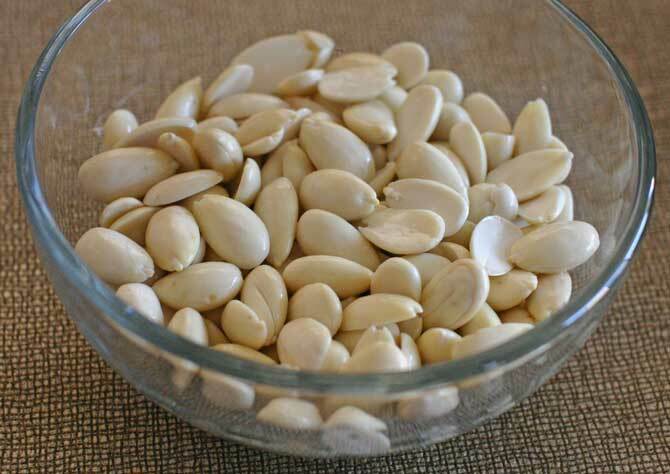 Why should you soak nuts and seeds? In addition to making the almonds blendable, soaking makes them more digestible and even initiates the sprouting process, which boosts their nutritional benefit. Yes! Almonds are seeds! This amazing little nut contains everything it needs to become a tree, in concentrated form, so of course it’s a little tough to digest as-is. This is why, even if you just want to snack on a handful of almonds or walnuts, for example, it’s best to soak them first (only if they’re raw; once they’re roasted it’s a lost cause), and then dehydrate them back to a more appetizing crispness if you prefer them to be crunchy. They even taste better (less bitter) when you soak them first. (Honestly, I don’t even mind eating them soggy, but maybe I’m weird.) Nuts are more nutritious and less constipating when you do this, in part because you are removing the enzyme inhibitor that it naturally uses to protect its enzymes until it germinates. Don’t be concerned if the water has turned brown by morning. That’s because it’s full of the aforementioned tannins you didn’t want to consume anyway. You can rinse and drain them now. At this point, I prefer to peel the almonds, but this step is optional. There are a couple of reasons why I do this. First, it streamlines the straining process and makes the liquid easier to extract from the pulp because there is less debris in the nut milk bag. Second, I like to use the almond pulp left behind in the bag for other recipes, and it’s nicer to use the pulp without bits of almond skin mixed in. Peeling them is simple. It may take you a few tries to get the hang of the method, but once you do it’s easy work. Just pinch the almond between your thumbs and index fingers and give a little twist. The skin should come right off. You can see a demonstration of this in the video below. Once they’re peeled, rinse them again and toss them into a high-powered blender. 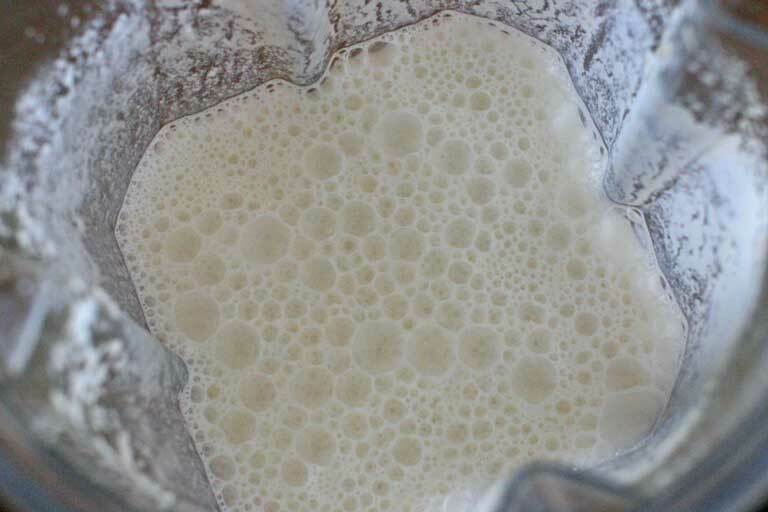 Add two cups of fresh water (not the soaking or rinsing water) and blend up the milk until it’s smooth. Some people like to add a little sweetener to their milk, by blending in a couple of pitted dates or a spoonful of agave or maple syrup and a dash of vanilla extract if they prefer flavored milk. I beg you, please try this once just plain, so you can appreciate how amazing it tastes all by itself. 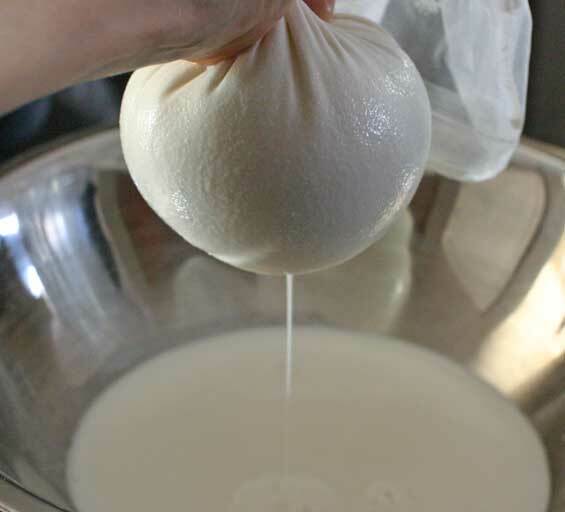 Place a nut milk bag (or cheese cloth, doubled up) into a bowl and pour the milk into the bag. Then simply strain out the liquid. Be patient with this step. Apply pressure until you feel like most of the liquid has been extracted, but not so much that the pulp starts to squeeze through the mesh. Pour the strained liquid into a glass jar and store in the fridge until you’re ready to enjoy it. 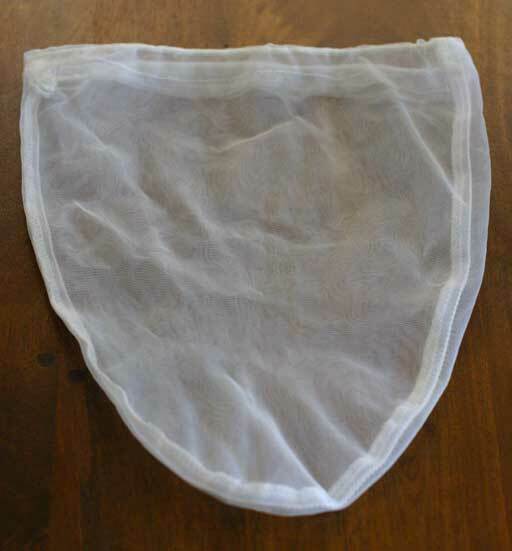 Nut milk bags are nice because they’re easy to wash and reusable (unlike cheese cloth). Check out my Kitchen Basics page for a link on where to buy one. 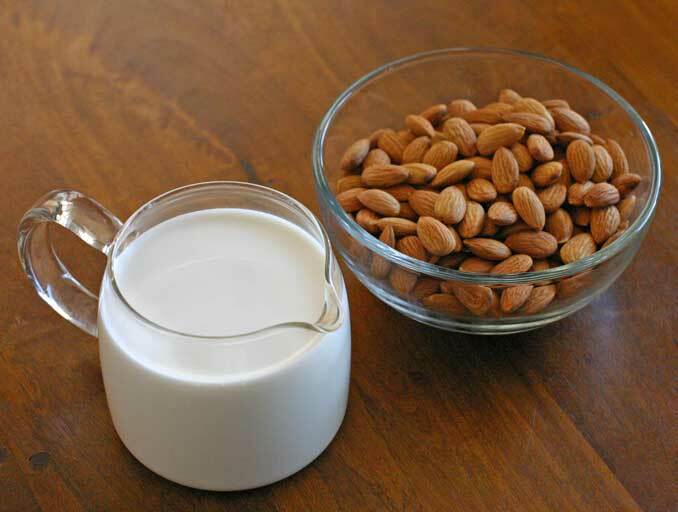 Almond milk is a delicious (and, some would argue, healthier) alternative to cow’s milk for those who are lactose intolerant, or those, like me, who wish to avoid dairy (refer to my Diet Philosophy page for a more detailed explanation). At the risk of trying to argue its health benefits by pointing to what it is not, it also does not contain gluten or soy, the latter of which many people believe to be unhealthy in large quantities. Almond milk contains vitamins and minerals like manganese, selenium and vitamin E, and when you make your own, you control the sugar content and there are no preservatives. This particular recipe is sugar free. 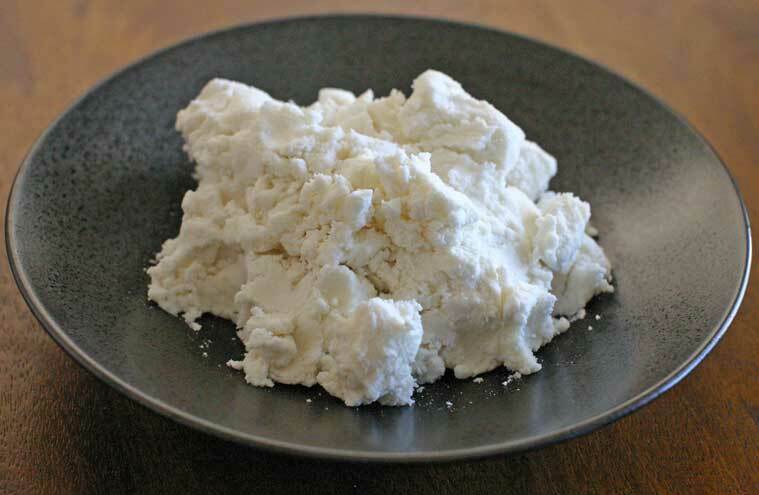 4 Responses to "Homemade Almond Milk"
Should I put the soaking almond in the fridge or are they okay on the counter-top? I’m excited to try this recipie this weekend! It’s not necessary to refrigerate them while they’re soaking. I leave them out on the counter 🙂 I’m excited you’re going to try it. Let us know how it goes!! the video is so fantastic! great for us visual-learners!